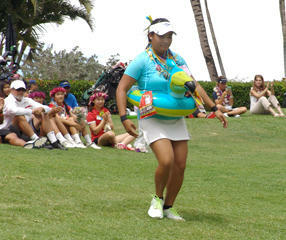 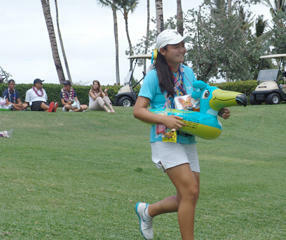 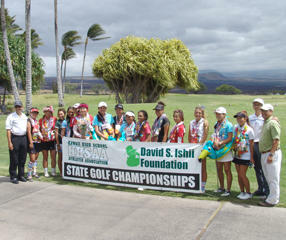 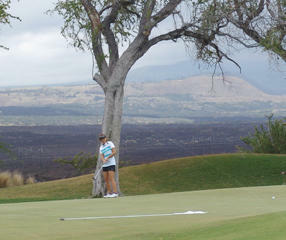 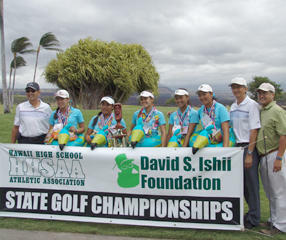 Punahou junior Mariel Galdiano became the first to claim three straight state golf titles. 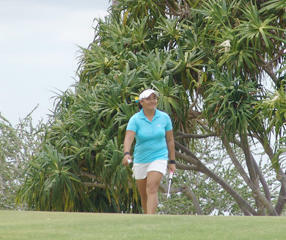 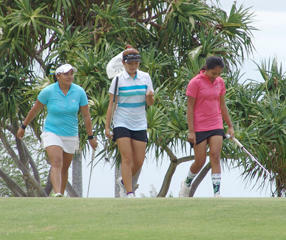 Galdiano shared the lead with Mari Nishiura and Allysha-Mae Mateo after the first round, but broke away with a final-round 68. 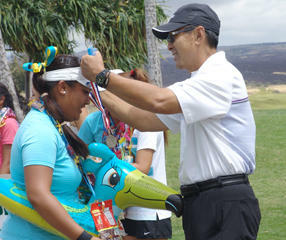 Teammate Allisen Corpuz was runnerup, four shots back. 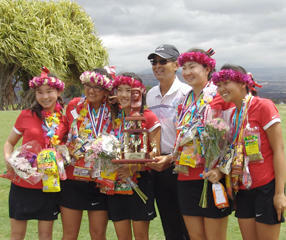 Punahou captured its eighth team title in nine years with a total of 220-215—435.